Jan Mischlich was born in 1989 in Bensheim an der Bergstrasse and began playing the cello at the age of nine as a scholarship student at the Academy of Music in Darmstadt. A multiple “Jugend musiziert” prize-winner, during his school years, he was a junior student of Roland Kuntze at the Music Academy in Mannheim. After graduation from secondary school, he continued his studies with Martin Ostertag in Karlsruhe, where he completed his master class diploma with honors. After that he continued his studies with Siegfried Palm and Karine Georgian. As a member of the Young German Philharmonic and principal cellist in the “resonanz” chamber music ensemble that emerged from that orchestra, he made solo and chamber music appearances, inter alia, at the Schleswig-Holstein Music Festival, the Munich Biennale and the Bremen Music Festival. He has performed as a guest artist with the SWR Symphony Orchestra of Baden-Baden and Freiburg and with the Philharmonic Cellists of Cologne. As co-founder of the Munich String Quartet, formed in 2000, he has performed in Munich as well as making regular appearances in Vienna’s Musikverein, at the KlangBodenFestival in Vienna and in the Brucknerhaus in Linz. 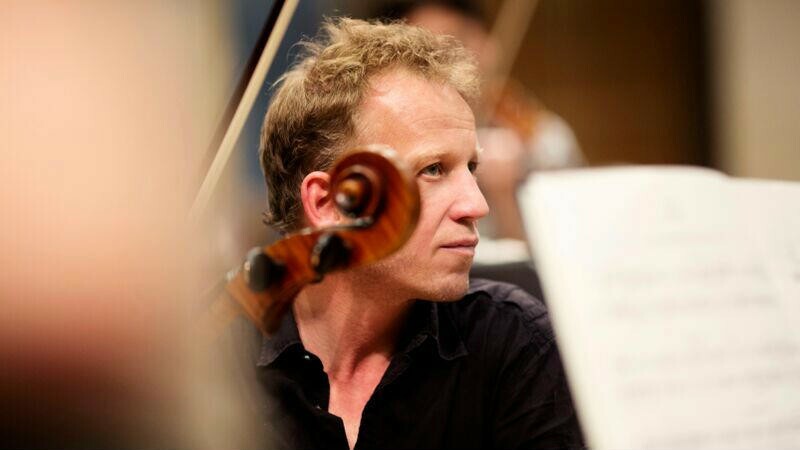 Jan Mischlich has been a cellist in the Symphonieorchester des Bayerischen Rundfunks since 1997.